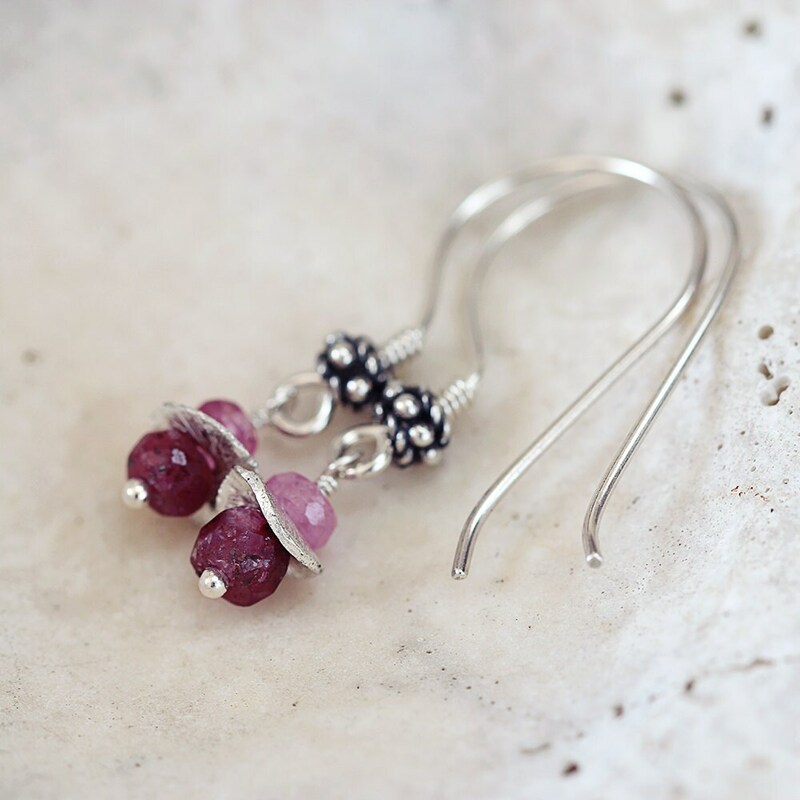 Gorgeous little silver Ruby earrings to finish an outfit with a dash of femininity. 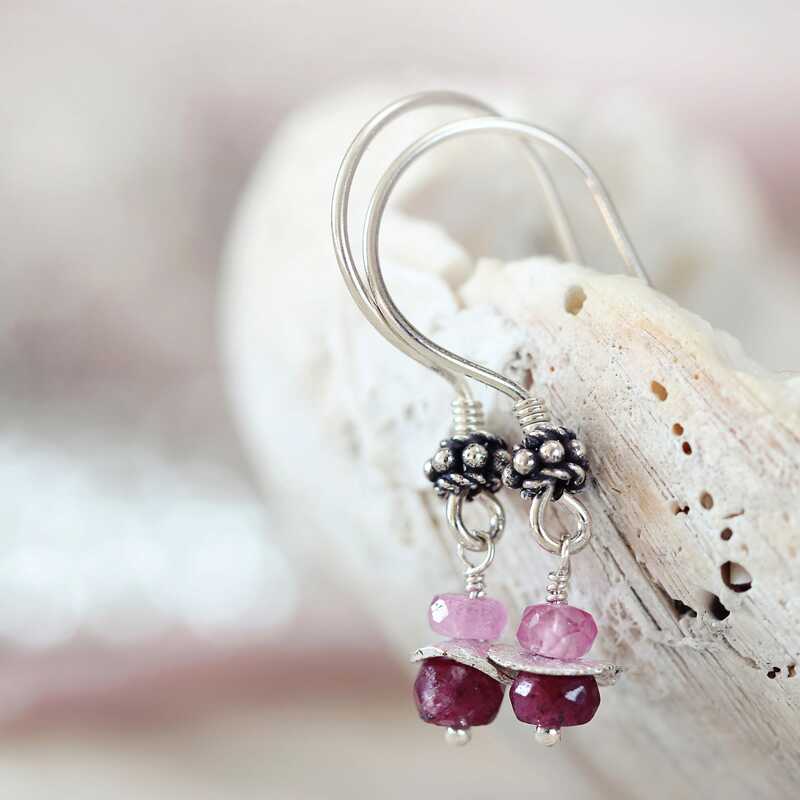 Featuring genuine, quality, hand cut, Ruby precious stones on sterling silver ear wires. 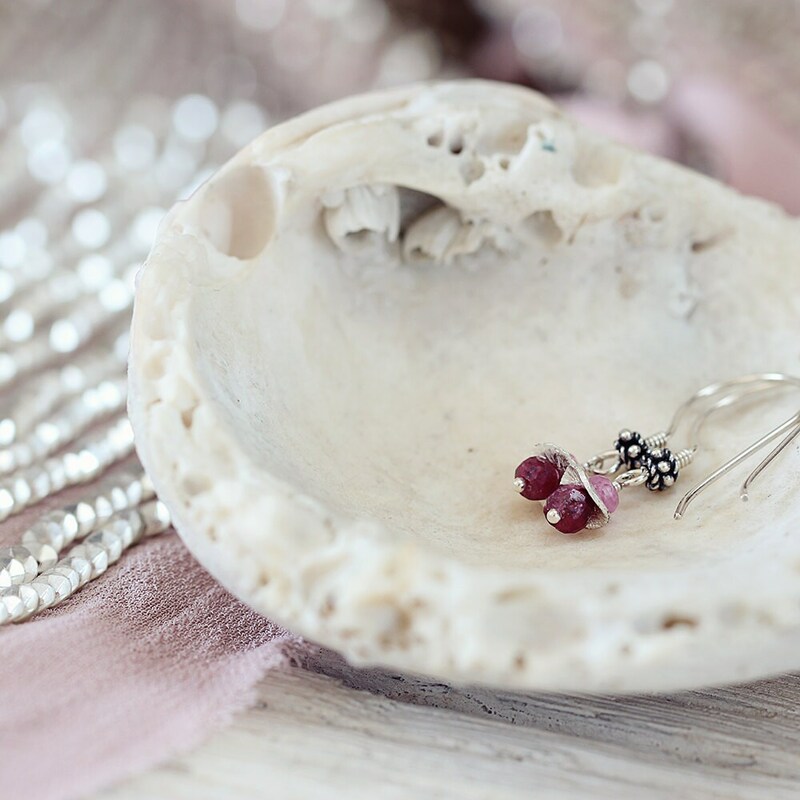 A paler Ruby stone (also known as a 'pink sapphire') sits above a deeper one, with a silver bead nestled between giving a luminous gleam. 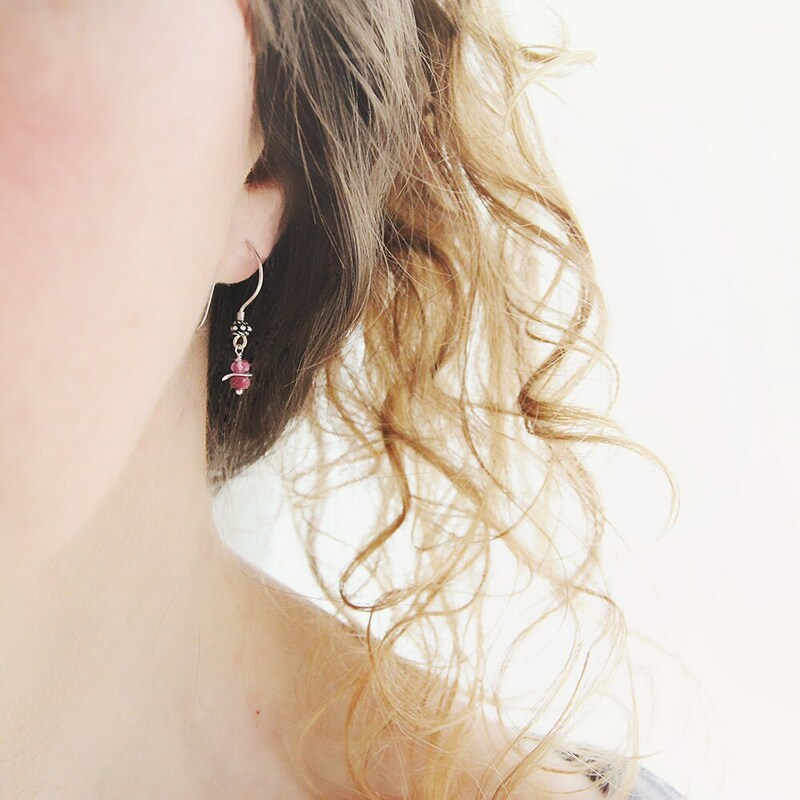 These are dainty little earrings measuring just 21mm from top to tail. Rubies are the birthstone for July and for the 40th wedding anniversary. Ruby jewellery makes a perfect romantic gift for a loved one, whether for a birthday, anniversary, Valentine's Day or other special occasion, as Rubies have always been associated with love and passion. Throughout history, in fact, Rubies were considered to be perfect wedding stones. 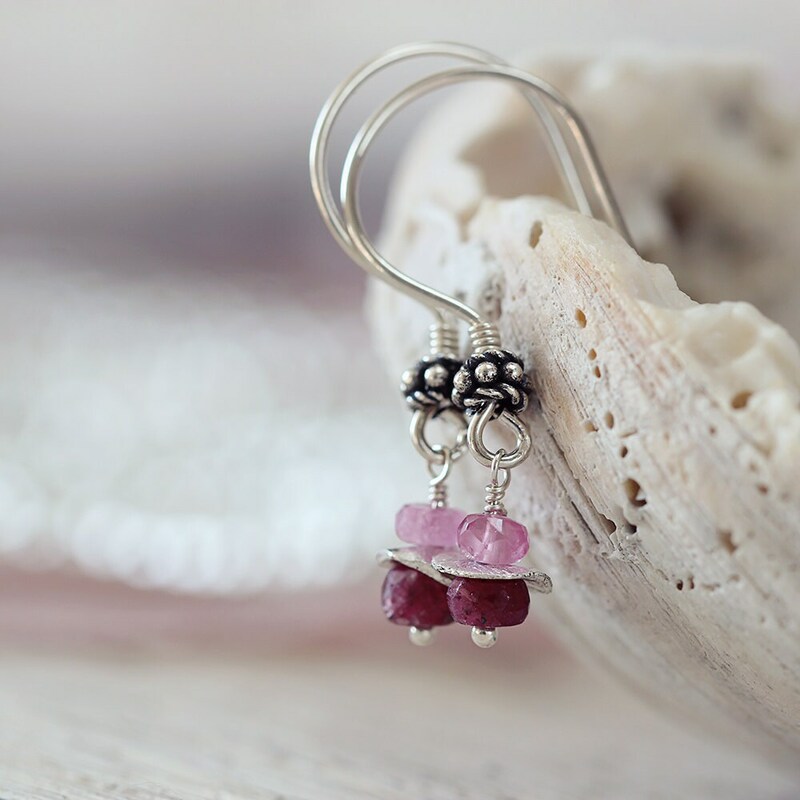 Because the Ruby is said to be a stone of great courage, inner strength and self-confidence, these earrings would make a thoughtful and empowering gift for a loved-one - sister, mum, friend, or co-worker, especially for the lady who loves nature, jewellery, gemstones, and who would enjoy the benefits that the Ruby stone offers. A gold version, as well as matching items, are also available - please see the full Artique Boutique collection.